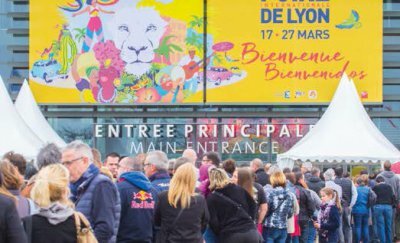 We are pleased to present you Foire de Lyon, the third largest fair in France, the most important of the region Auvergne Rhône-Alpes (the second most productive of the country), that will be held inside the pavillions of Eurexpo Lyon. The fair is open to the public, with authorized direct sales and, with its more than 90,000 m² of exhibition space and more than 1,000 exhibitors and 197,000 paying visitors, has as its main objective the promotion of international craftsmanship with its creativity and originality . In the 2018 edition, the international zone, called "Around the World", will have a new position, in the same pavilion with Italy and the food zones, to improve the affluence and the pleasure of the visitors. With more than 150 exhibitors from 20 different countries, 2.500 sqm. of exposition and the 80% of the visitors that visited the area, "Autour du Monde" is the pavillion that wants to present the best international handicraft. Foire de Lyon is the perfect showcase to enter the French market, if you are interested in having more information to evaluate your participation to the upcoming edition, contact us!